Home » Just Married » Just Married October 2015 » the very final part of our wedding season! 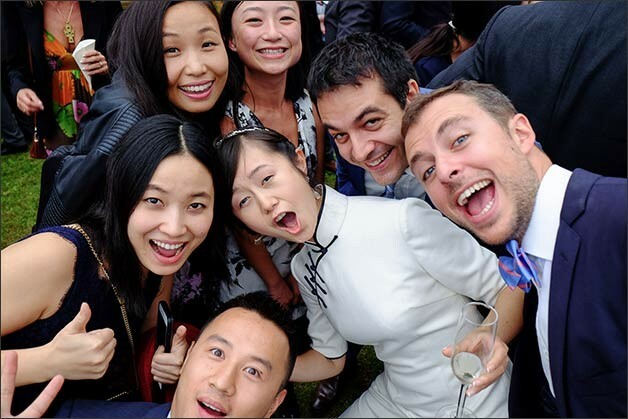 lthough we closed our summer season wedding with a lovely and long post back in September 2015 we wanted to add some more. Some members of our Team planned some lovely Autumn weddings in October and we would love to take the chance to mentioned them on our blog. This Just Married post will be the very final one of 2015 season… we will come back in 2016 with some wonderful exciting weddings to tell you about. 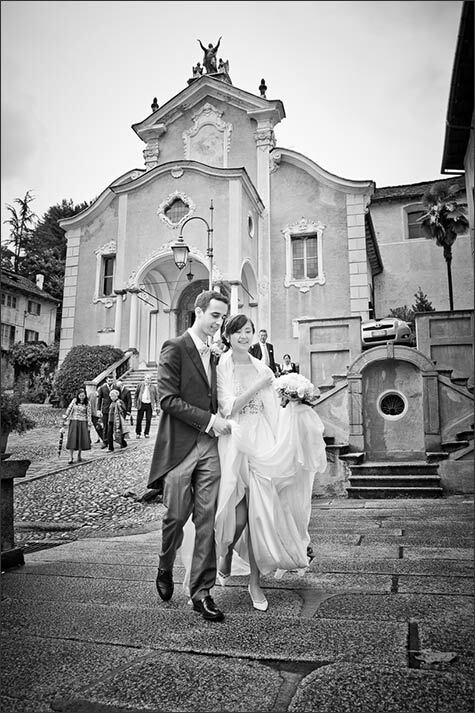 At the very beginning of October on 3rd La Piccola Selva Floral Designer followed a very big event on Lake Orta. It was maybe on the biggest ever planned in Orta with more than 300 guests! A reception planned in two different venues… so unusual! 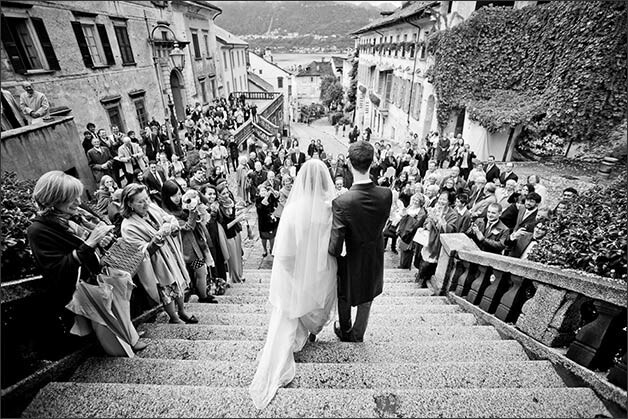 Siyu and Giorgio decided to plan the wedding in Orta as Giorgio’s family comes from this area. 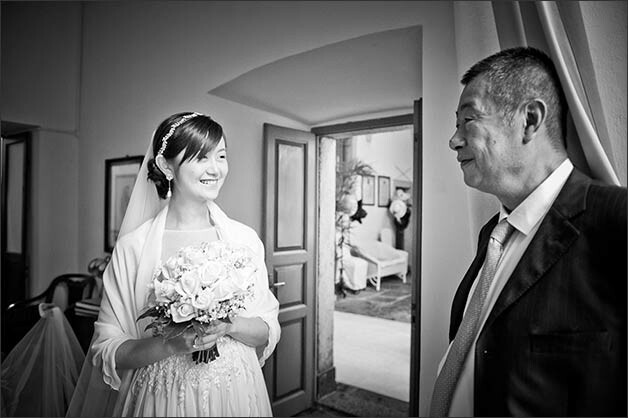 Siyu come from China and all guests arrived from China itself and all over Italy. 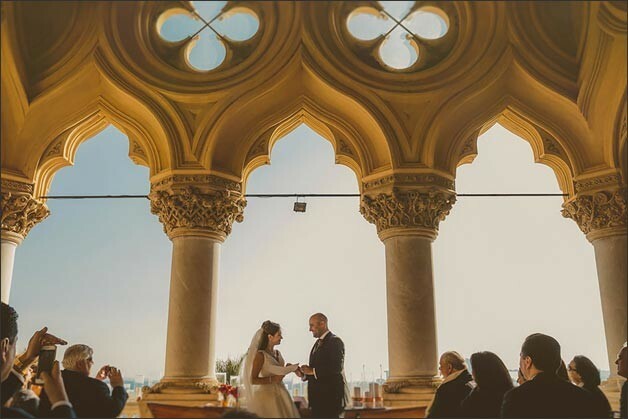 They tied the knot inside the church of Assunta and reception to follow was planned in the two villas side of the church that we showed you many times: Palazzo Penotti Ubertini and Palazzo Gemelli. The two villas are located in the very heart of Orta medieval village. In Palazzo Gemelli gardens bride and groom wanted two big marquees to host welcome aperitif cocktail and wedding breakfast. 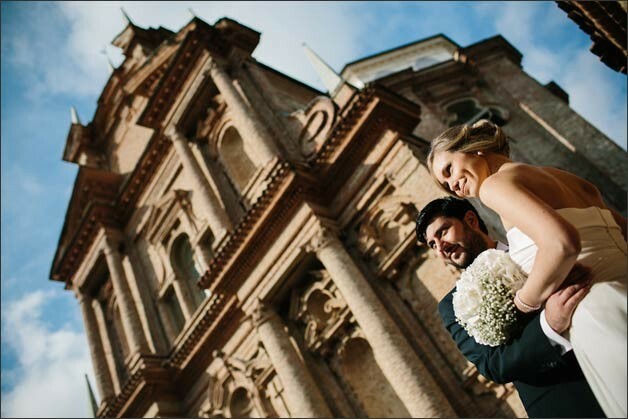 Floral Designer La Piccola Selva, – who followed all floral arrangements for church, Palazzo Ubertini and Palazzo Gemelli – and photographer Enrico Mocci followed the event Italian Lakes Wedding Team. 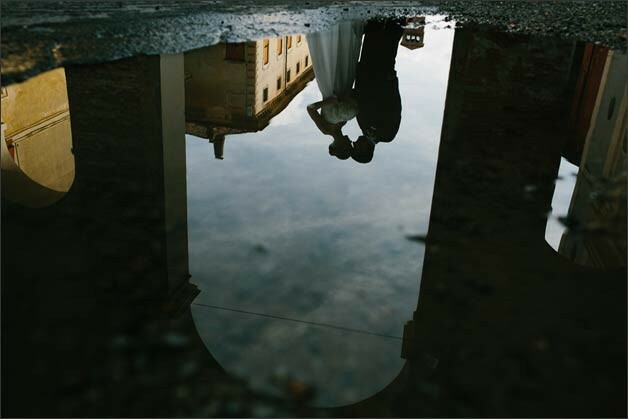 The day after our planner Valentina followed another event in Piemonte Countryside – Langhe. 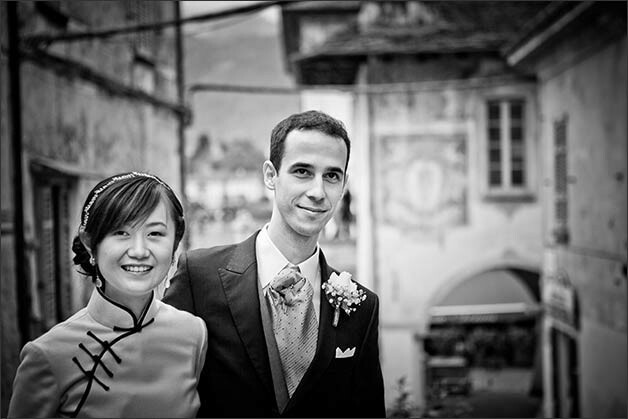 Kristina and Stefano chose this wonderful area which is part of Unesco World Heritage to celebrate their special day. Kristina is Swedish and Riccardo is Italian they both live in UK. 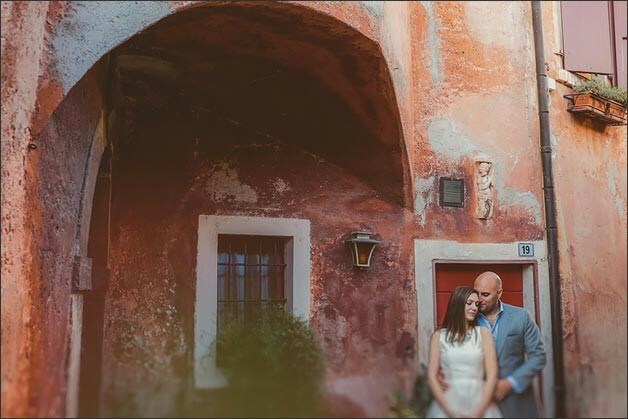 For their wedding they chose a wonderful hotel housed in a magnificent ancient convent. 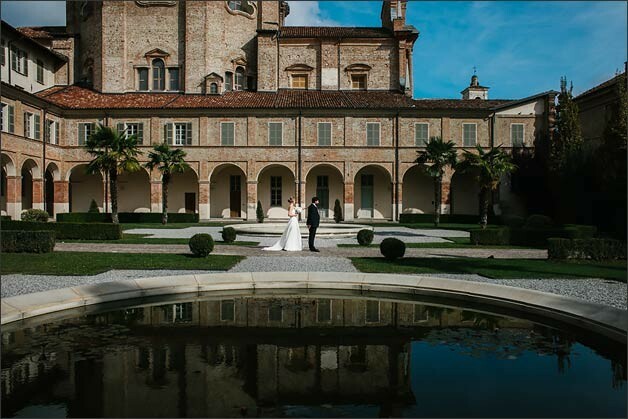 The building is simply wonderful and it could be the perfect frame for an elegant wedding in the countryside. 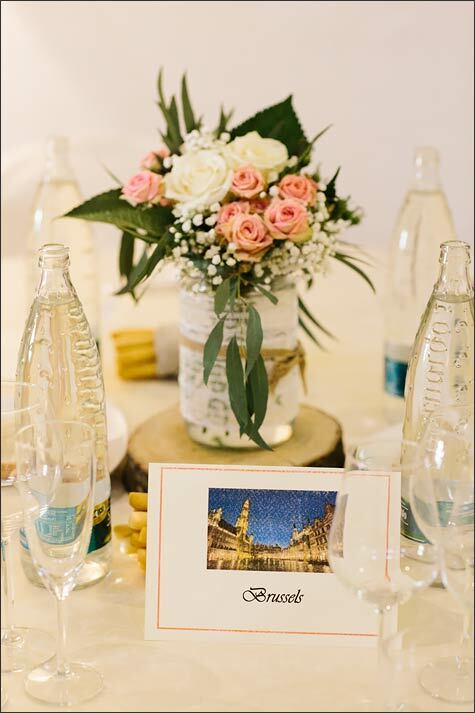 Ceremony was held inside one o the main room of the hotel with a lovely outdoor aperitif to follow and some fantastic country chic wedding photos by Julian Kanz. Elegant and fine dinner was served inside the big restaurant of the hotel adorned with simple country flowers in wooden support as per Kristina wish. 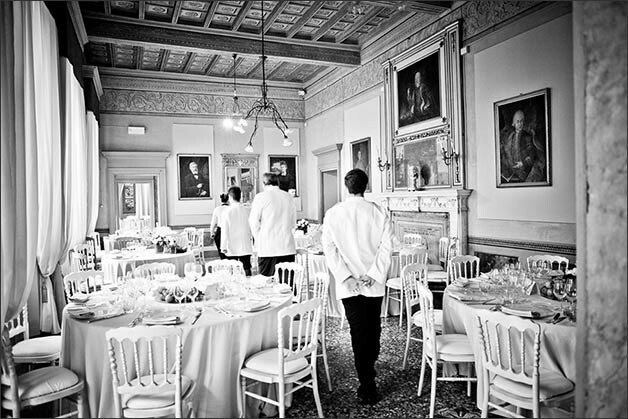 This wedding is also featured on Italian Country Wedding blog. We close this October Just Married post with a romantic and intimate wedding our planner Katiuscia followed on October 22nd. 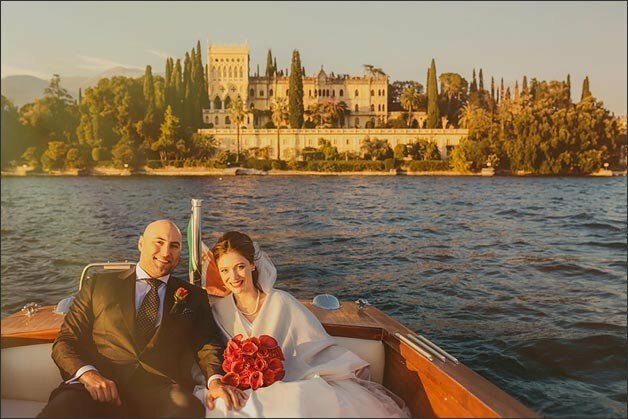 Bree and Roget came from New York City with their guests to Lake Garda to celebrate their special day. They planned a fantastic and scenic blessing on Cavazza Island with a fun boat trip to follow. 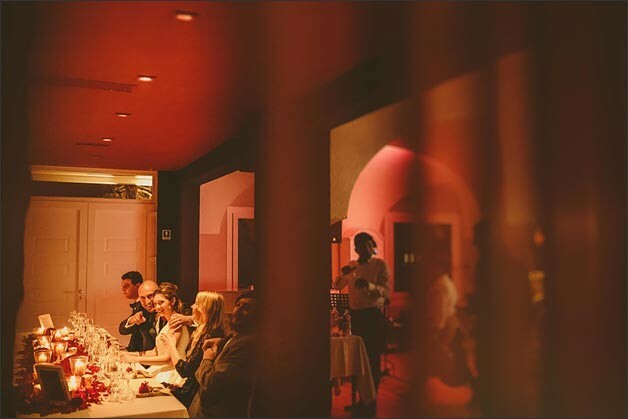 The small and intimate group of less than 30 guests celebrated Bree and Roget union in a romantic restaurant in Gardone Riviera. Bree wanted a deep red themed wedding with roses and callas. 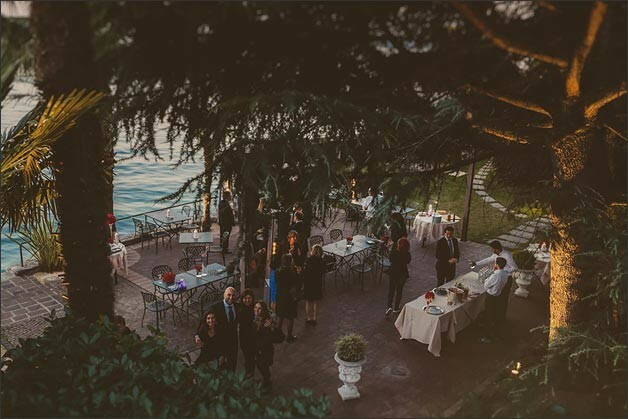 A wonderful Autumn theme for a wedding on Lake Garda. A wonderful intimate, romantic and fun wedding they will all remember! So here we are! Thanks again for following us for this fantastic season we had! We are very excited to have already started planning weddings for next fantastic season and some even for 2017!